We have responded to some of our most asked questions below. If you cannot see the answer to a question you may have here please do not hesitate to contact us, we would be more than happy to assist. We are currently based in North London. What if I can't attend the group courses on the dates advertised? If you can’t join the group course or, were more interested in a private course whereby you would have the full attention of the Tutor in a one to one environment, then we can tailor make your course for you. We will create your course on the best available slots for both yourself and the Tutor. 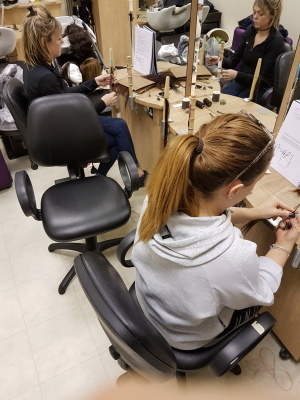 Email us about private courses, and send us a few sets of dates where you would be available for teaching and we will do our best to accommodate you! What qualification will I receive? 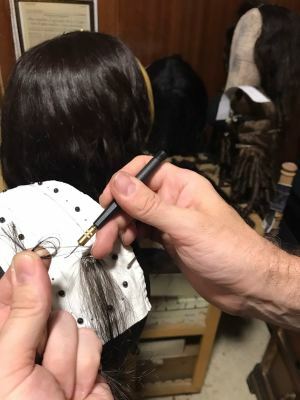 The UK Wig School has consistently been the number one hair replacement school in the UK, producing countless wigmaking graduates and teaching courses that deliver outstanding results. 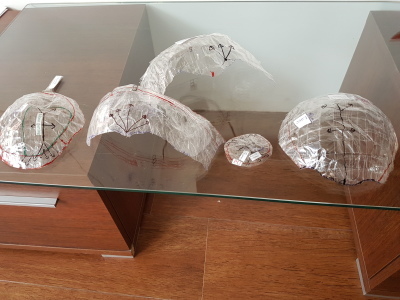 At the UK Wig School we strive to have a profound impact of the world of hair replacement. Our reputation and attitude towards the industry has created an environment that supports, inspires and allows our students to achieve their fullest potential. We believe in providing our students with the most innovative, intensive, vast, world class education in the world. 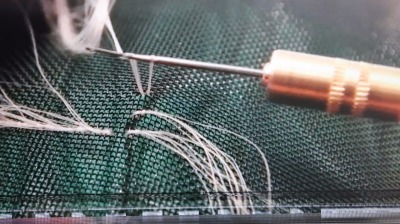 We nurture our students to challenge the competitors, especially the large hair clinics, and question the norm by creating quality and long lasting hair replacement systems using our innovative techniques; we encourage our students to develop their skills in order to become the UK’s greatest hair replacement specialists. 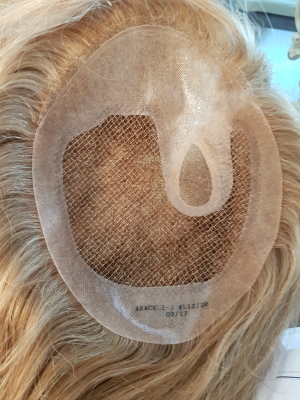 We are constantly evolving to reflect the ever-changing and growing world of hair replacement, always seeking to improve our techniques and explore new ideas. Our esteemed courses are assessed through our bespoke qualification created by the UK’s Leading school for hair replacement, the UK Wig School. 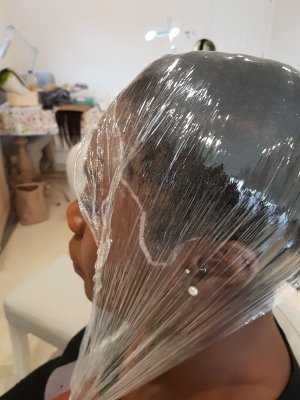 By creating our own innovative and intensive syllabus as a registered learning provider, we can ensure that our courses are up to date, reputable and relevant with the ever growing popularity of hair replacement systems. 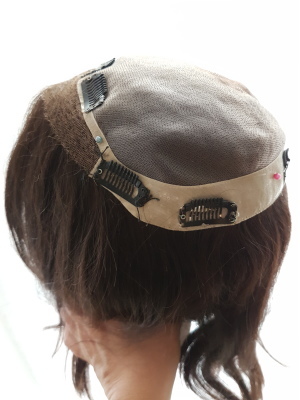 That is why we will continue to lead, and influence how the world views hair replacement. 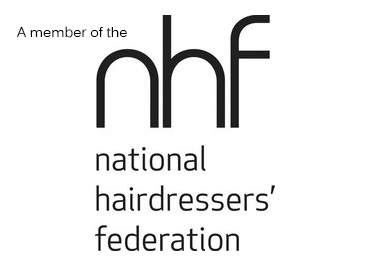 The UK Wig School is an associate member of BABTAC, furthermore our Tutor is a member of the National Hairdressing Federation, Habia, the Chief Executor of Tricho Alopecia Solutions, (one of London’s leading hair replacement specialists), in addition to being the President of the Spanish Association of Wigmakers (www.asociaciondeposticeria.es). 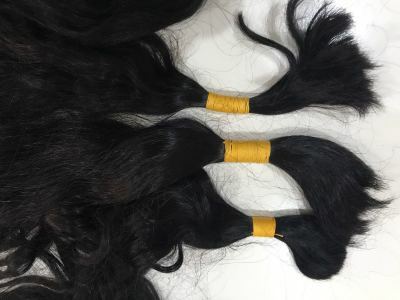 Our Tutor is an influential expert in the industry who has become a world renowned master wigmaker and wigmaking tutor by combining her experience, expert syllabus, and client/student contact who generate a wealth of thought leadership by combining the best of academia and real world problem-solving. We are at the forefront of business expertise, now and for generations to come. 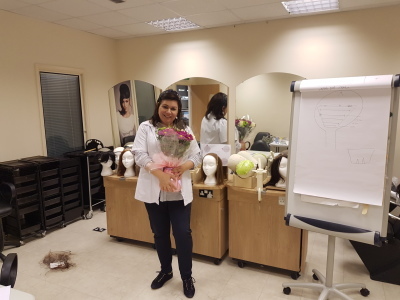 Our certificate is the only one of its kind that can equip you with the knowledge, skills and understanding you will need to successfully start your career in the hair replacement industry. 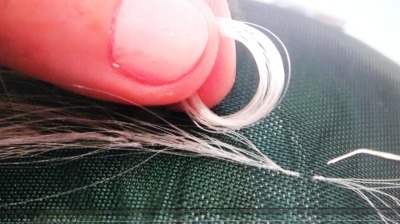 The intensive nature of our course will give you the greatest understanding of all areas of hair replacement. This teamed with our informative business module allows you to apply your newfound knowledge within the real world. 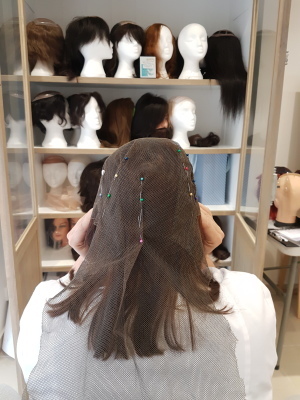 The qualification by the renowned UK Wig School also includes insight into business, marketing, materials, client contact and suppliers. Our certificate will allow you to stand as a competitor against large hair clinics, not only due to the fact you will have studied at the ever challenging & prestigious UK Wig School, but also due to the intensive syllabus taught that will ensure you are confident and well informed in all areas of wigmaking, strategic marketing, innovative hair replacement designs, and outstanding client/consultant professionalism. Our esteemed courses are assessed through our bespoke qualification created by the UK's leading school for Hair replacement; the UK Wig School. 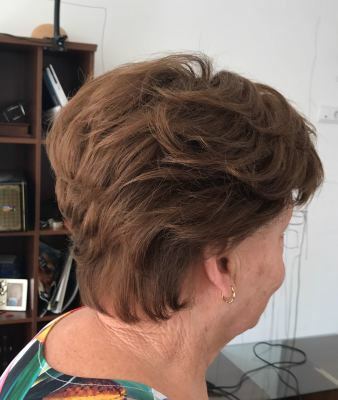 By creating our own innovative and intensive syllabus as a registered learning provider, we can ensure that our courses are up to date, reputable and relevant with the ever growing popularity of hair replacement systems. 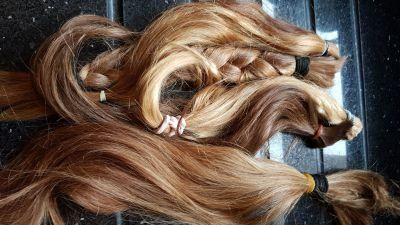 Your personal costs to make the Volumizer vary from £100 to £500 depending on the quality of the piece you want to offer your clients, taking between 5-8 hours to create. 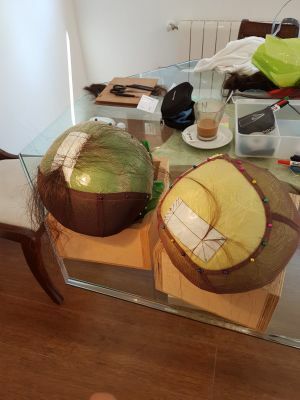 In most hair loss clinics they will spend an average of £100-£200 to create the piece, hence why they have to keep on changing the partings and panels constantly and the client has to keep on spending throughout the year. However, at organisations like our own we only create top notch quality pieces to avoid extra costs to our clients (this is not necessarily the best thing to do financially for us but our work ethic and strong relationship with our clients take priority over income). 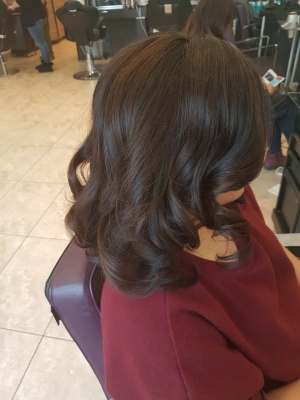 People travel to London from other countries just to get the Volumizer system done, and it is highly likely that those in your area will be more than happy to have a service offered near them for lower/the same prices but with better quality pieces. 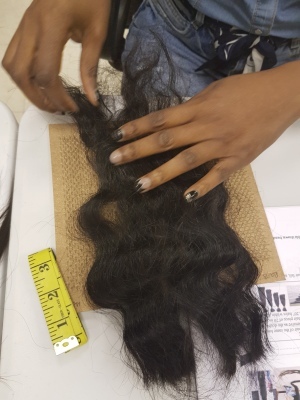 Most hair extensionists and wig-makers have studied with us, and have increased their income vastly, and you earn back the fees paid for your education with your first or second Volumizer system, how many other systems can offer you that! Unfortunately we do not hold online courses. 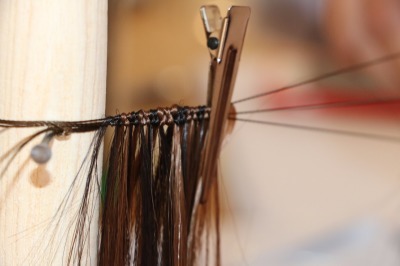 If our courses were online, the student would miss out on key information and the hands on experience with the hair. The quality of teaching is significantly lower online as the practical element of this course is a huge part, and would be diminished online. It is difficult to see what the teacher is doing and often people need to see it properly up close before they can do it themselves, with the supervision of a Tutor. Send us an email letting us know your interested in our courses. Once we have confirmed dates and places with you, we will hold your interest in the course for 2 days until you secure your place by a deposit of £500. The remaining balance of £2,000 can be paid in cash upon arrival on the first day of the course. Alternatively you may wish to pay by bank transfer no later than 10 days before the course is due to begin. Please note that card payments and cheques are not accepted. What time does the course start and end? The course will begin at 10am and finish at 6pm each day it runs! Do you have any courses outside of London? We do travel away from London upon request for tuition. The fees will be calculated depending on how many students will be taking part in the course, the duration of the course, and any travel and accommodation fees. It is also important that we can locate an appropriate course venue (This applies for courses held in any city and any country). 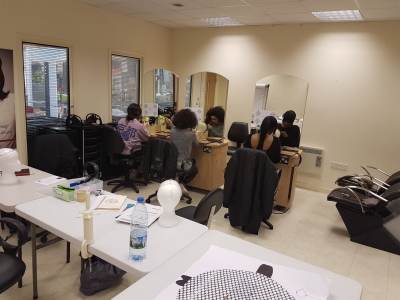 We always encourage students to join our courses in London as it is more convenient with our teaching studio being based here, and course fees are more likely to be lower in London. A member of the team will be more than happy to suggest comfortable yet affordable accommodation for you! However, email us at [email protected] for more information about travel based tuition! How much are your courses? Can I get my deposit back if I cancel my course? The deposit paid towards your course is non refundable. We ask all students to read our terms and conditions before submitting any deposit and ensure that all students have the full details of the course. If in the unlikely event you need to cancel your place on the course, we will keep your deposit active for 12 months during which time you can transfer your deposit onto another course of your choosing with us. 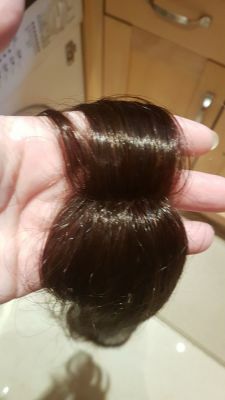 After the 12 months has expired, any deposit remaining unmoved will be retained by UK Wig School. Do I need to have any experience to join the courses? 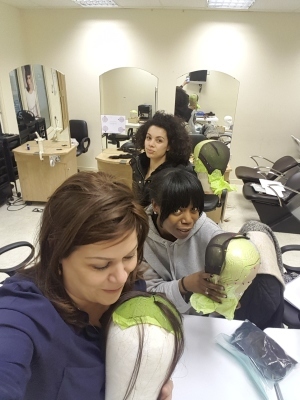 We welcome students from all backgrounds joining our courses at the UK Wig School. 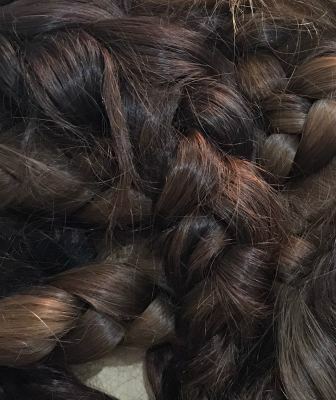 You do not need to be a hairdresser or have prior knowledge of the hair sector to join our course. 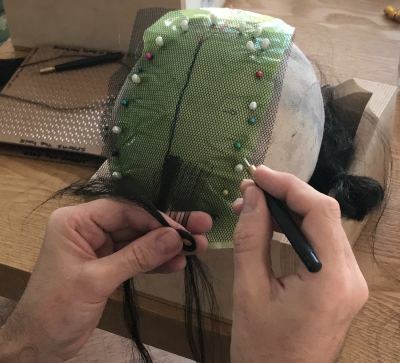 At the UK Wig School we will be teaching you an entirely new skill from scratch, so whether you are new to this industry, or are a hairdresser looking to expand their skill set, the UK Wig School will welcome you with open arms.